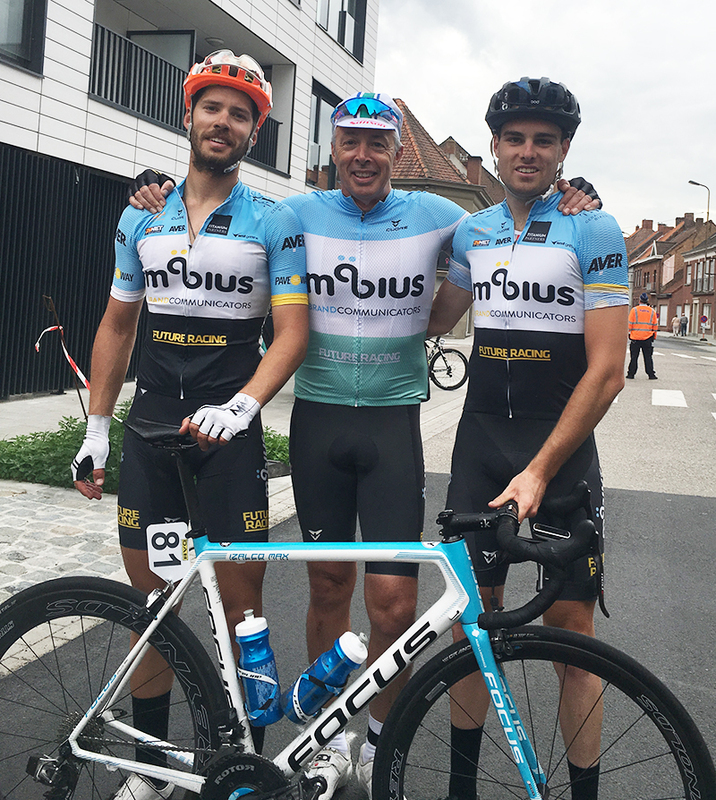 Following a successful campaign in a series of UCI tour races in the USA earlier this year, a number of our riders continued their preparation for this year’s NRS season with a programme of racing in the highly competitive Belgian Kermesse circuit. Riders Jame Fouche, Peter Livingstone and Aaron Bicknell all headed to Europe, locating themselves in towns within easy access to the daily races on offer. With most Kermesse races being between 100km and 120km long and occurring within a 20km – 50km distance from where the riders were staying a typical day would include a ride to the race, then compete and ride home, with riders regularly clocking up 150km – 200km days, punctuated with 2.5 hours of intense racing. All riders performed well with James Fouche winning 2 races and placing highly in others, Pete Livingstone regularly placed top 20 and Aaron Bicknell also placed top 30 regularly – with a race field typically consisting of 100 plus riders, this was an outstanding result by all.